Readers will notice that Care2 stories containing any references to animal testing carry a disclaimer that Care2 does not support animal testing. While the issue remains controversial, polls show a trend toward disapproval, with more than half of young people surveyed believing animal research to be morally wrong. We believe the public concern around animal testing is well-founded. Advocates of animal testing point to the role such research plays in the eradication of disease and improvement of human quality of life. This perspective ignores some crucial factors, aside from the ethical problems, including a current legal structure that requires animal testing for medical products and research innovations that render the use of animal models increasingly archaic. We agree and support a vision that both works toward scientific ideals while respecting the right of animals not to be used as research objects. Our content occasionally contains references to animal testing because, sadly, animal testing remains a fact of society. A sound approach to some stories requires that we as journalists discuss the research around the subjects. These references to animal research are not an endorsement, which is why we go out of our way to make sure such stories carry a disclaimer that we believe animal testing is unethical. A full range of alternatives to animal testing already exist, including in vitro testing, computer modeling and human microdosing. The aforementioned Wynn Institute is engineering “organs-on-chips,” which line microchips with human cells to replace animals in drug development. The institute believes this replacement will not only save lives but produce superior results. 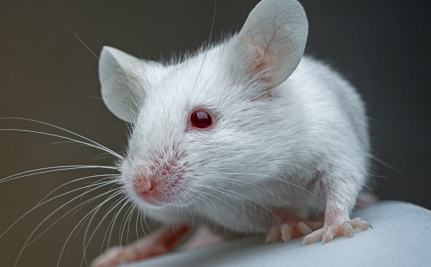 People for the Ethical Treatment of animals actually helps fund quantitative structure-activity relationships (QSARs), which it describes as “computer-based techniques that can replace animal tests by making sophisticated estimates of a substance’s likelihood of being hazardous.” These techniques are already in use around the world as researchers seek out alternatives to cruel and outdated animal testing. In fact, a U.S. government-published study of computer modeling for asthma-related medication already suggests that such modeling be implemented in the current testing of inhaled prescription drugs. Human microdosing is also a safe testing method respected researchers want to become more common, because of its superiority to a number of current practices. Microdosing is recognized as both a more cost-effective and efficient method than those maintained by the status quo. These are only a small sample of the many sound alternatives to animal testing that either already exist or are in advanced development. The rejection of animal testing on ethical grounds doesn’t only lead to a kinder world, but pushes us toward greater scientific innovation. It is for these reasons that Care2 joins with millions of voices around the globe, numerous respected animal advocacy organizations and the convictions of our own members in calling for an end to animal testing and unequivocally refusing to endorse such practices under any circumstances. after going through a few of the posts I realized itâs new to me. i will post below very helpful links for all people you can check one time its free for all. this is a best platform for all people thanks for this helpful post for me and all. thanks for this helpful post for me and all. i am also find this news from along time. thanks for sharing. i am also share to my friend circle. thanks i am waiting your next helpful post. thanks for this helpful post for me and all nox app player user's. can you help me how to use in pc and how to install please i have faced some problem to install in pc. This is really cool and get the premium apps for free right away on vshare, http://vsharedownloads.org/ check it.